This is a poem I wrote in Year 10. 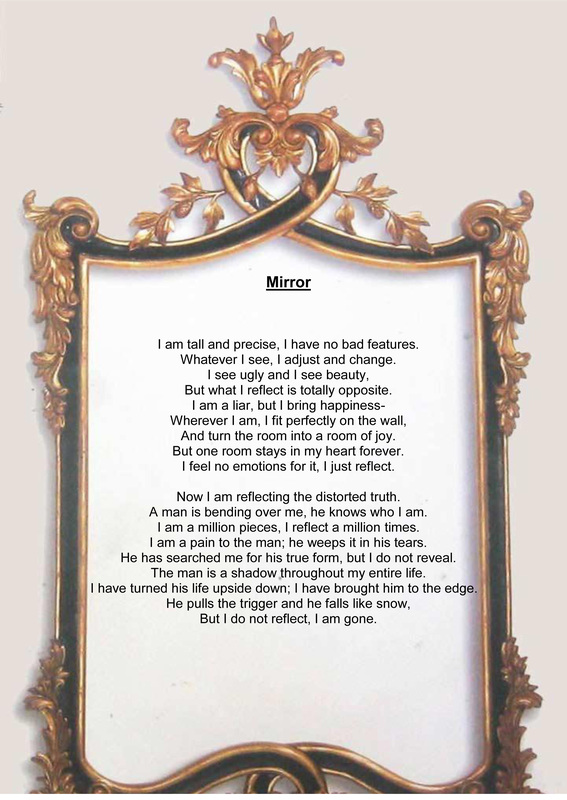 It is my own take on the poem, ‘Mirror’, by Sylvia Plath. Seen as it is one of the only surviving pieces of work I have from my earlier years, I thought I would post it up here.